For a weekend brunch with friends, I like to serve bruschetta on lesley stowe raincoast crisps® original. The hints of spice in the crisps pairs beautifully with the mix of tomatoes, basil and olive oil. 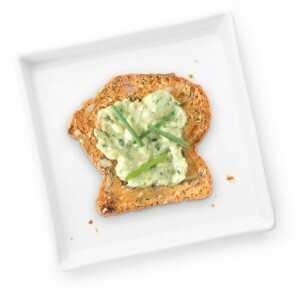 To complement the refreshing bruschetta, I serve it alongside a platter of Boursin, brie and emmental cheeses, with a crisp and buttery chardonnay. If you are hosting a get together after work, gather your co-workers and serve our NEW lesley stowe raincoast cheese crisps™ parmesan and chive with my crowd pleasing creamy spinach and artichoke dip. For the beer lovers, I like to serve a hoppy India pale ale and for those drinking wine, a merlot with notes of plum and blackberry are the perfect mates for this rich and savoury appetizer. For a late, weekend evening I like to serve lesley stowe raincost crisps® rosemary and raisin pecan. The toasty pecan, rosemary and raisin flavours in the crisps pair nicely with a caramelized onion and Canadian blue cheese dip. Round out your serving platter with a selection of brie, capicola and salami. If serving wine, bordeaux reds will accentuate the flavour of these taste bud-tantalizing crisps. 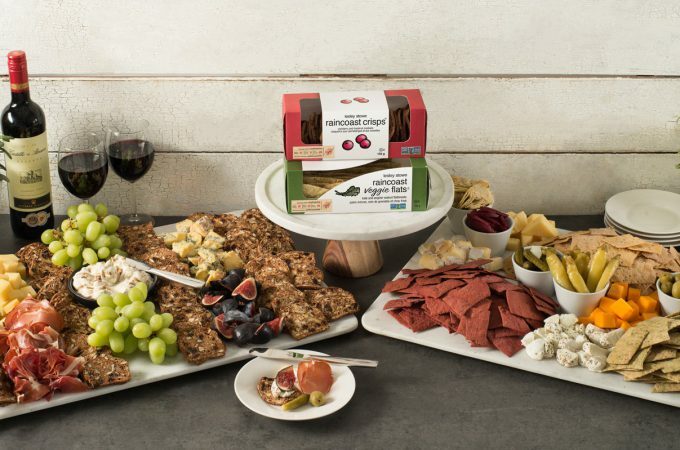 For summer picnics, I like to bring lesley stowe raincoast oat crisps™ oat and cranberry with a selection of camembert cheese and prosciutto to balance the sweet and salty flavours. Perfect for a hot day, I’ll serve these alongside a refreshing raspberry ale or crisp pinot gris. The art of entertaining is in the details. 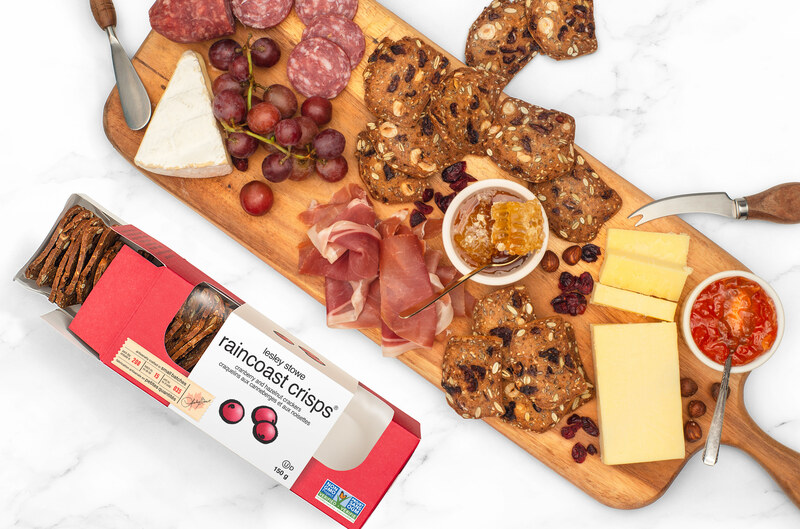 Our lesley stowe raincoast crisps® are made in small batches in Canada, crafted to be the perfect blank canvas for your favourite pairings — your art. My true passion is for making and sharing delicious food and I hope to inspire you to elevate your next entertaining occasion with my favourite pairings. 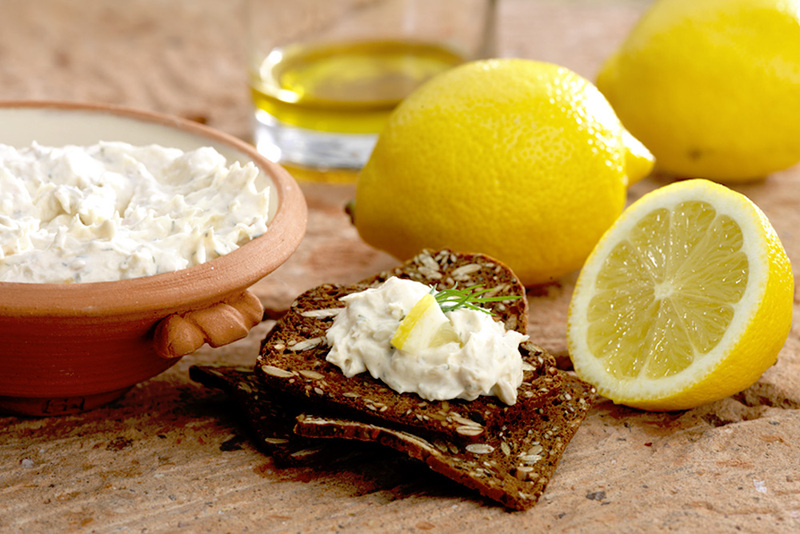 Looking for more perfect pairings? Visit our online and in-store pairing guide for more tasty ideas.